My first time over at Hong Kong Sheng Kee Dessert Malaysia, and already I have taken a huge liking for their food offerings. 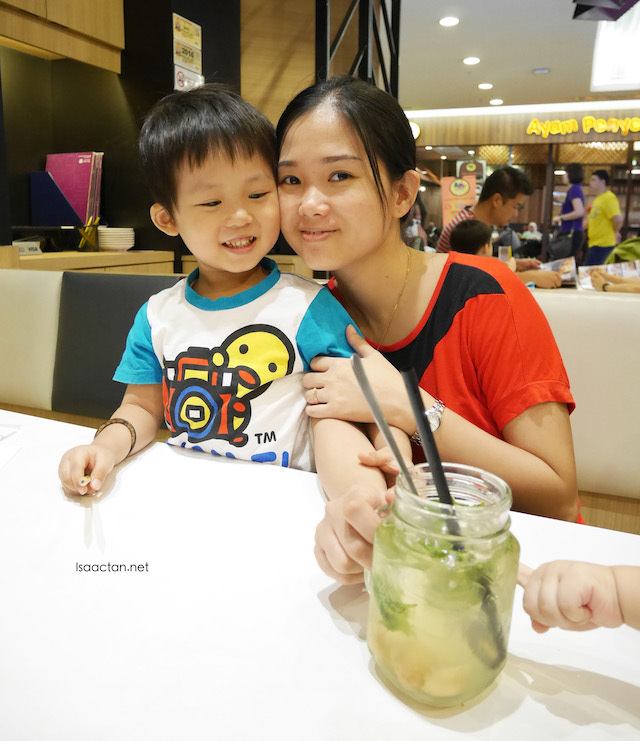 I was over at their outlet in 1 Utama the other day with the family to try out some delectable Hong Kong cuisine. Offering tantalising flavours of the vibrant harbour, foodies can now have even more reasons to spoil themselves silly, as the restaurant dishes out a whopping selection of over 90 food and beverage items. A haven for all types of Hong Kong cuisine, guests will be delighted at the large variety of offerings that suit any palette. 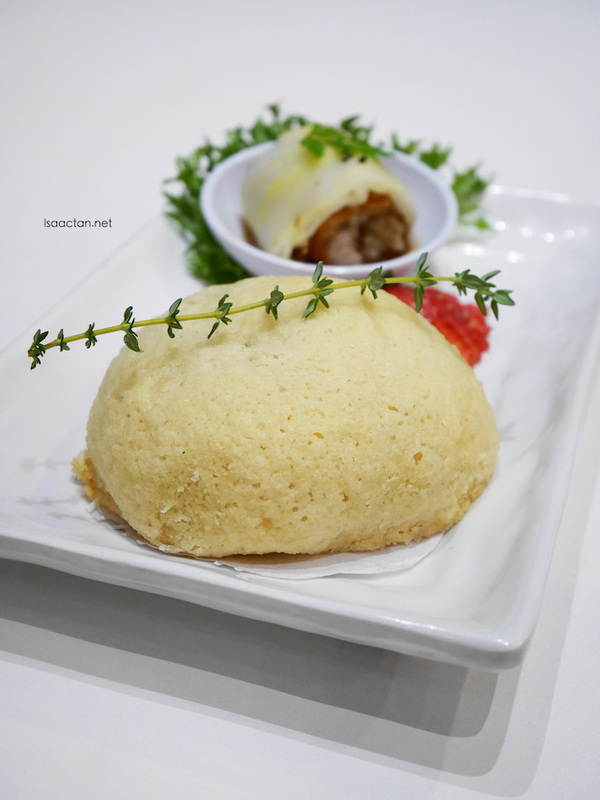 Choose from delectable savoury dishes such as HK Wanton Noodles, Braised Pork Belly with Mui Choy Rice and Carrot Cake; or simply have some steaming baskets of dim sum. Check out what we had that afternoon below. 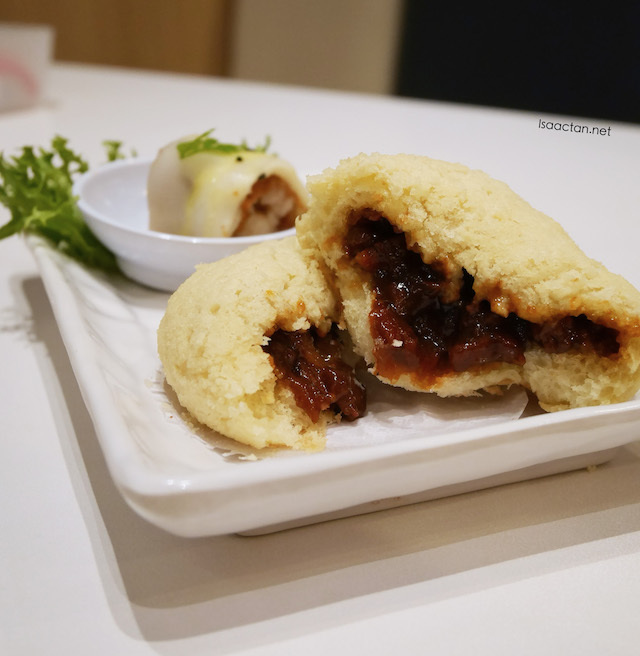 We tried their signature and very popular Char Siew Snowy Bun first. Loved it, especially the outside crispy snowy texture. Break it apart and you will find the meat inside to be so soft and yummy. 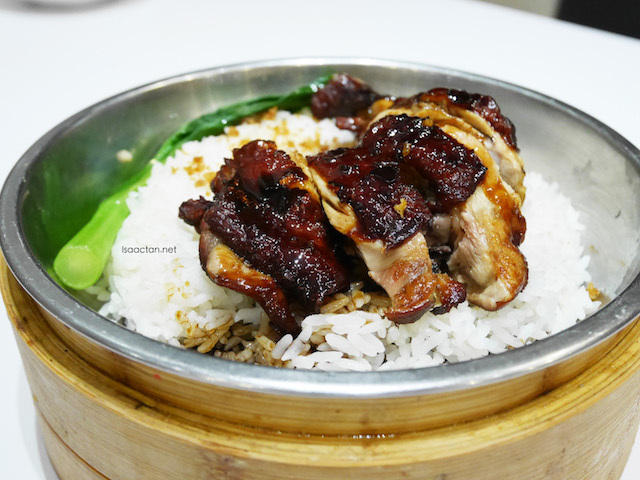 Baked to perfection with a very specific timing of 12 minutes under carefully monitored temperatures and timing, the char siew is freshly made and barbecued in the kitchen ensuring the warmest and freshest taste at first bite. 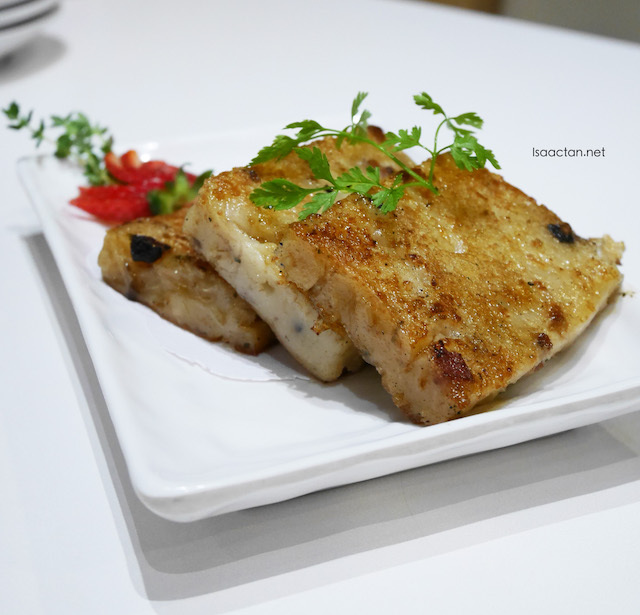 Up next, we tried out the very unique Bi Feng Tang Crispy Beancurd and the HK Carrot Cake. 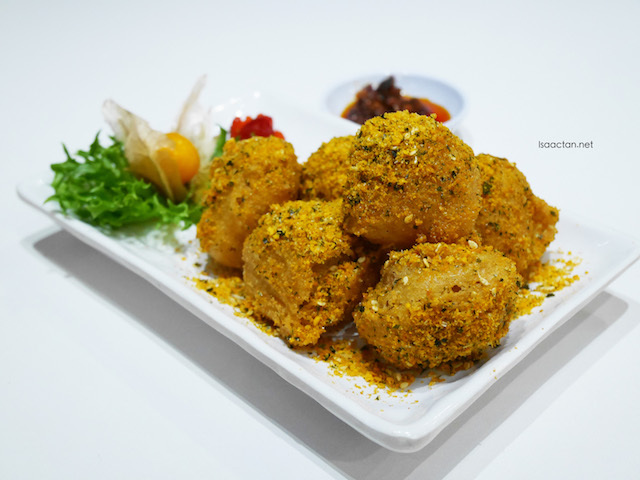 Made from scratch with the freshest selected beancurd, these impeccable bite-sized snacks are a great accompaniment to any meal and are wildly addictive. I just couldn't help myself from picking off every piece. 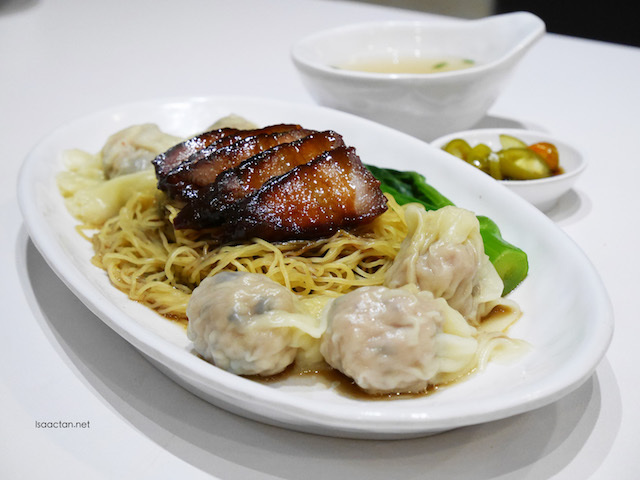 A delightful combination of perfectly caramelised char siew, handmade wantons and dumplings with noodles specially imported from Hong Kong makes up the SK Signature Combination Noodle dish. What makes this dish special is its unique wanton - made with sole fish for a firm texture and distinctive flavour - and shrimp dumplings, generously filled for a wholesome, flavourful punch. Not bad at all, a huge enough single serving portion to fill even the most discerning diner. Made with superior quality Thai fragrant rice, steamed and served with a generous serving of braised crispy chicken drumstick, this is indeed a hearty meal. Sheng Kee's Crispy Braised Chicken Drumstick with Fragrant Onion Dried Shrimp Rice is topped with shrimp infused sauce for that savoury sweet flavour. Love how the chicken drumstick is braised first before being deep fried to a crunchy end. 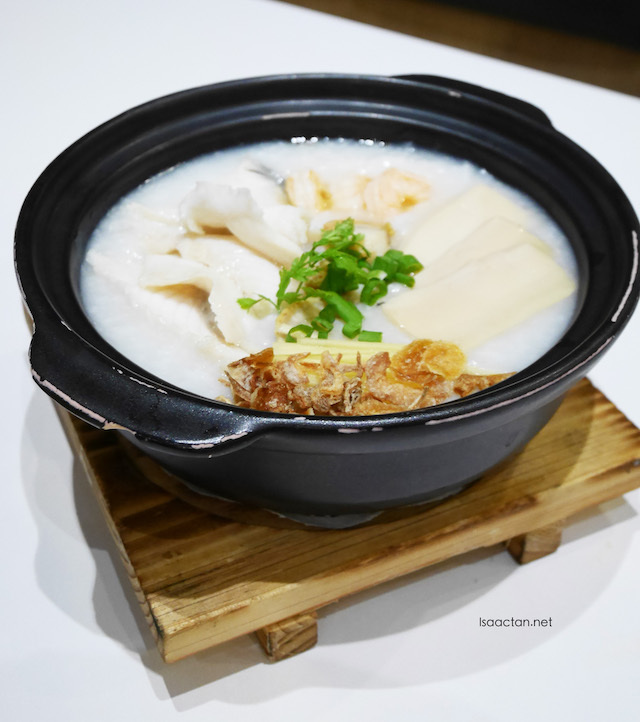 Perfect for the kids, and I believe adults too due to the very nice ingredients used in their Supreme Congee with Sliced Fish, Prawn, Scallop and Sliced Mock Abalone. Just look at the ingredients used. Yum. Traditionally made for meals with families, this dish is served piping hot and with the finest seafood fare - thinly sliced fish, fresh prawns, scallops and sliced mock abalone. Hong Kong Sheng Kee Dessert serves some very nice desserts too, sweet and good to be taken after a meal out. Those with a penchant for sweet flavours can indulge in a mindblowing selection of hot and cold desserts such as SK Mango Pomelo Sago, Sesame Paste and Osmanthus Jelly. 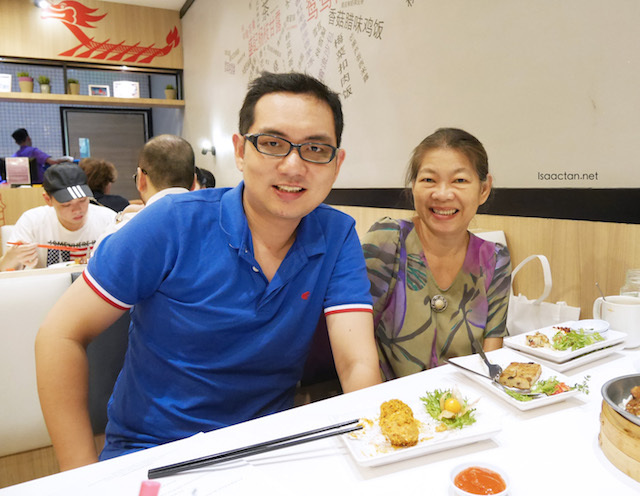 We did try some of the signature selections as recommended by the good folks from Sheng Kee. 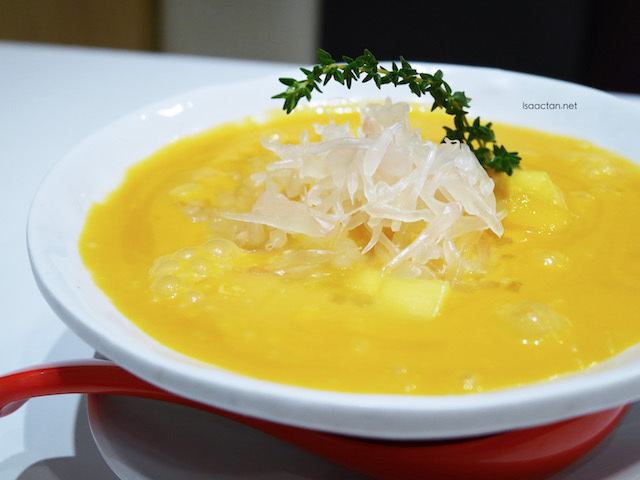 A cold snack but hot favourite with their local customers, this signature Sheng Kee sago dish is a familiar item to all Hong Kong dessert lovers and to general lovers of mango. 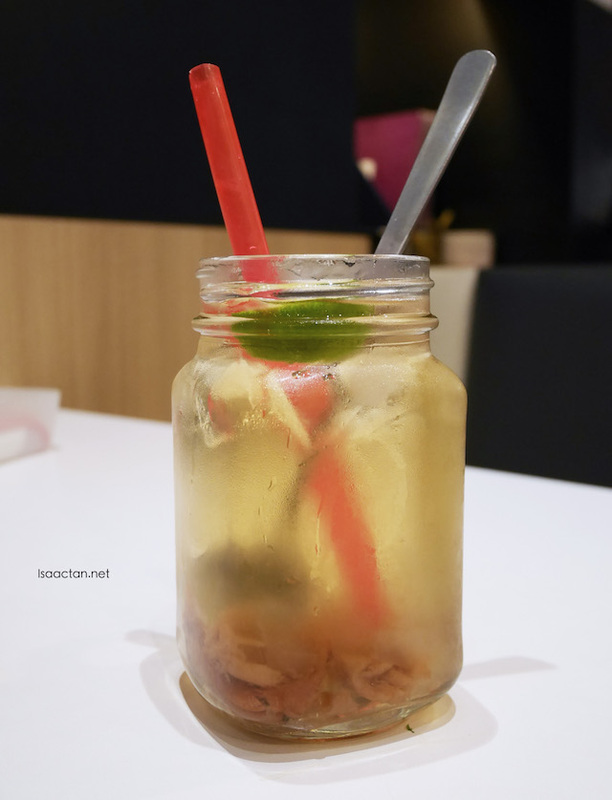 Made using fresh Thai honey mangoes, the stellar sweetness of this characteristic ingredient brings flavourful accents of honey to complement the slightly bitter taste of the pomelo sacs. Both are equally balanced out by the bouncy pearl sago which adds texture and a chewiness to the dish. 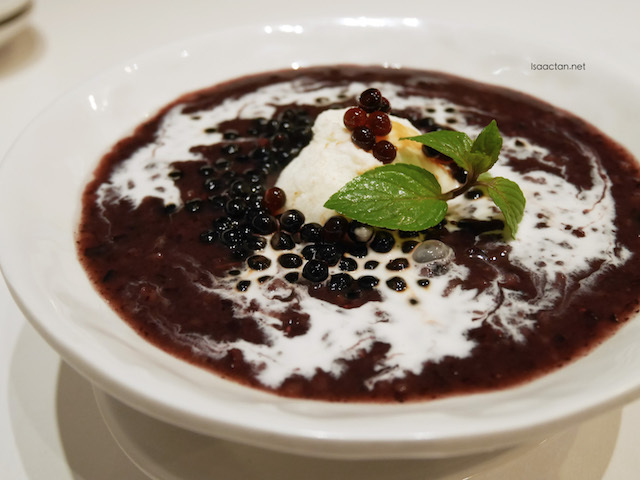 The commonly known Pulut Hitam is given a fresh makeover with the addition of creamy coconut ice cream and honey pearls to add a little more flavour and punch to the otherwise classic dish. The sweet coconut ice cream contrasts with the wholesome black glutinous rice paste for that yummy mix of yin and yang. 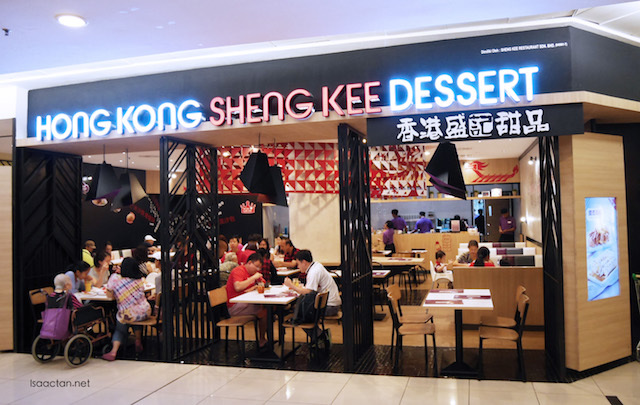 Priding itself on the finest quality and ingredients, warm service and affordable prices, Hong Kong Sheng Kee Dessert has very quickly amassed a strong following since its launch in September 2014 at One Utama and is not showing signs of slowing down. 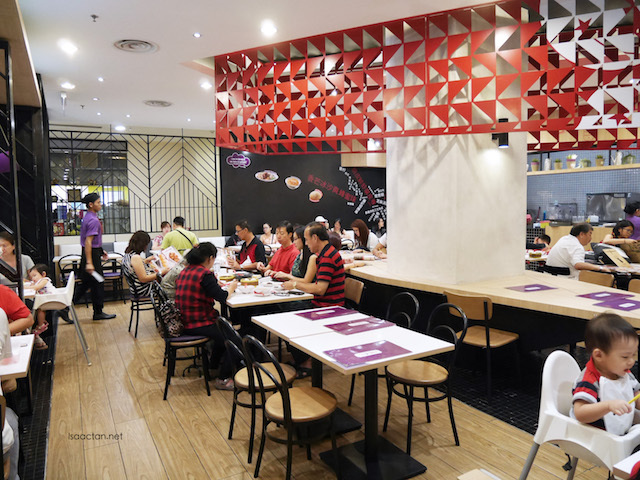 The chain has currently three outlets in Malaysia with Paradigm Mall at Petaling Jaya being the latest as well as 16 outlets in Singapore. 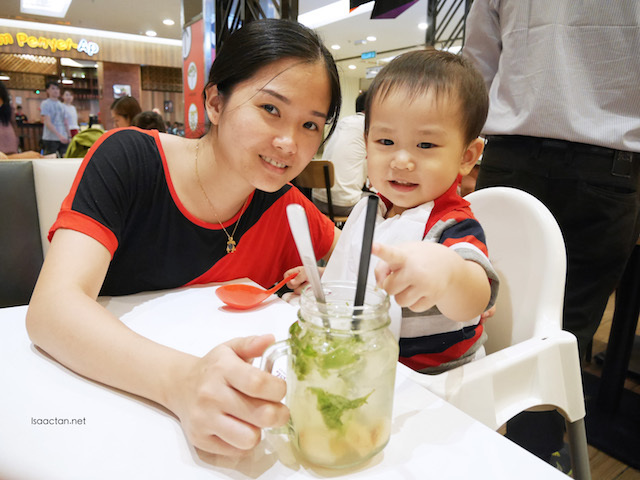 Whether you would like to take a break from your weekend shopping spree, if you’re enjoying a nice family meal on the weekends, or if you’re simply looking for a convenient lunch spot and meeting space during work hours, there is something for everyone. Best of all, it won't break the bank either with its good pricing!